A new colorway of the retro training hybrid from Nike Sportswear is now available with this 'Midnight Navy/Volt' make up. 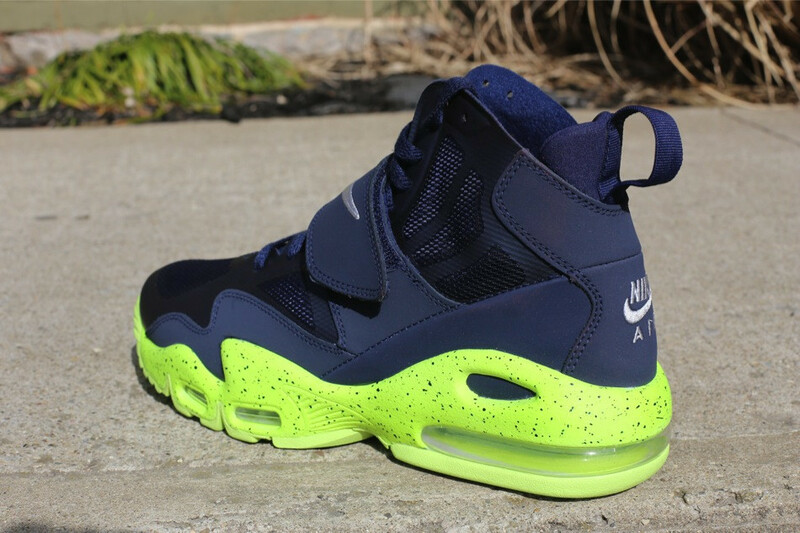 A new colorway of the retro training hybrid from Nike Sportswear is now available with this 'Midnight Navy/Volt' make up for the Air Max Express. Bits of the Griffey and Deion Sanders Diamond Turf line combine to create this new hybrid training model from Nike Sportswear. 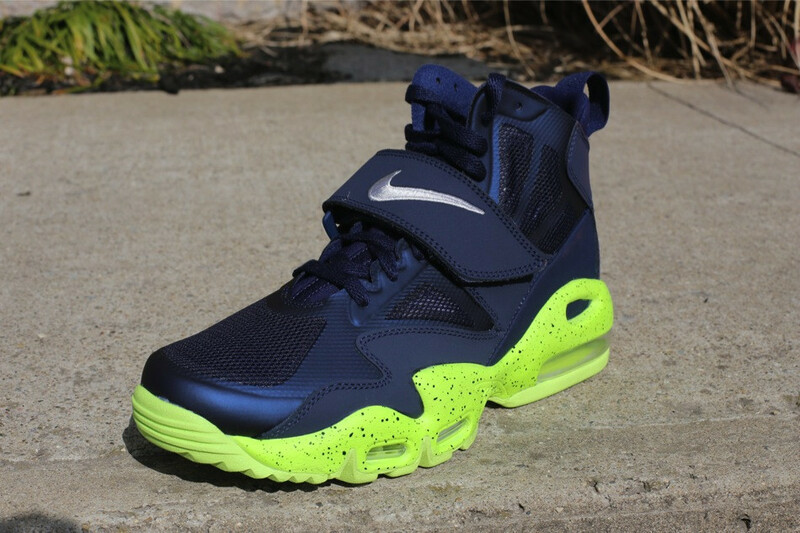 This colorway features an all Midnight Navy Hyperfuse upper with a white Swoosh on the midfoot strap and a speckled Volt midsole borrowed from the Air Griffey Max II. 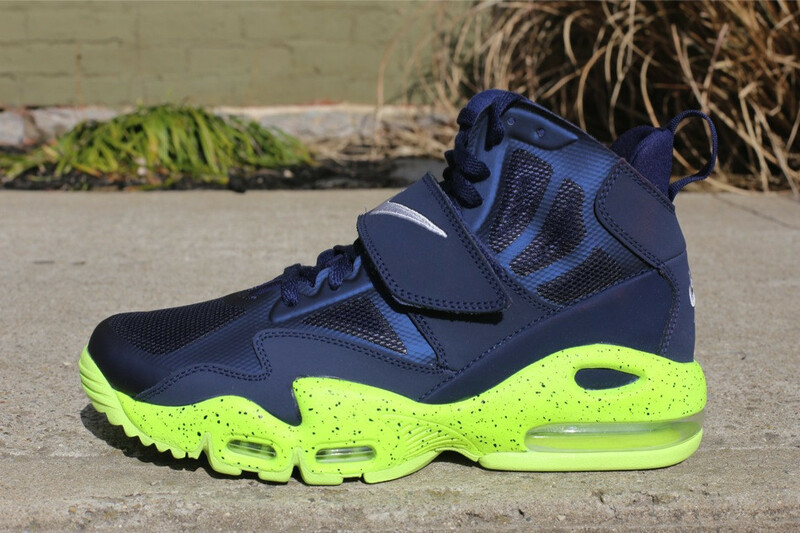 Look for the Midnight Navy/Volt Air Max Express now at select Nike Sportswear retailers, like Oneness Boutique.